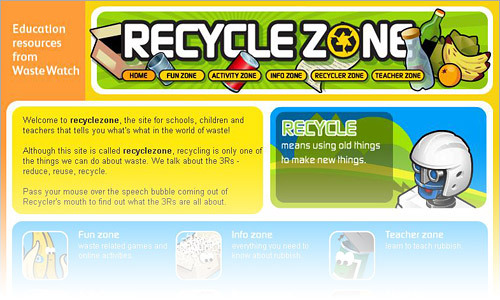 These recycling sites are full of information, games and fun. Off you go and learn all about recycling and ways of living a greener and more sustainable life. 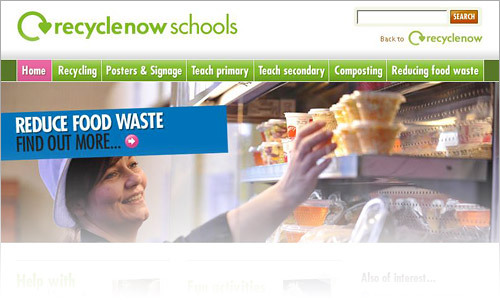 Online resource aims to provide primary and secondary school staff with information, advice and activities to guide you through the process of setting up and maintaining effective recycling schemes and taking a whole school approach to recycling. 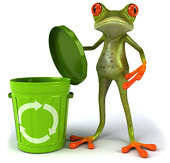 A fun site for children and teachers focusing on the 3Rs – reduce, reuse and recycle. 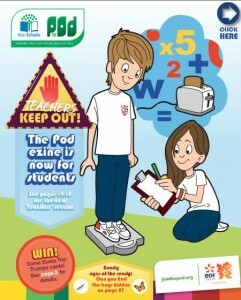 Ezine is an electronic magazine produced by The Pod – EDF Energy’s programme for greener schools. It’s a cool free magazine giving you all the latest news, games and activities to help you learn how to live a greener and more sustainable life. Enjoy but don’t spend too much time on the computer!